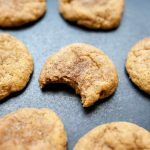 If you’re a fan of pumpkin or snickerdoodle cookies, then you’re going to love these pumpkin snickerdoodle cookies. 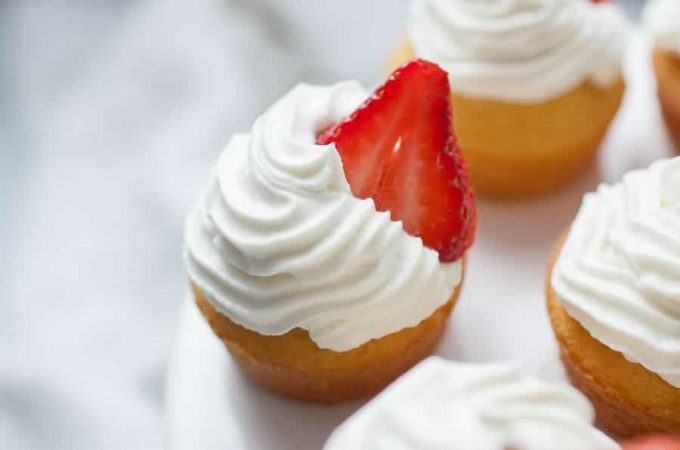 If you’re planning on sharing (totally acceptable if you’re not) you’ll want to make at least two batches of these. 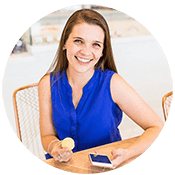 These cookies go quick and for good reasons! They’re soft and chewy, filled with fall spices and pumpkin flavor and truthfully just eating one isn’t enough. What do I need to make these cookies? 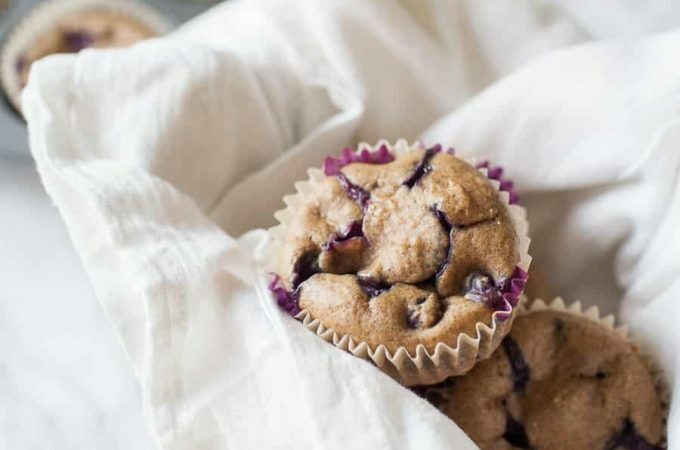 For ingredients you’ll need butter, brown sugar, white sugar, vanilla extract, pumpkin, flour, baking powder, baking soda, salt, cloves, cinnamon and nutmeg. You’ll want to have three mixing bowls, a whisk, a flexible bench scraper, a cookie scoop, a small plate or bowl, a baking sheet and wire cooling rack in order to make these pumpkin snickerdoodle cookies. 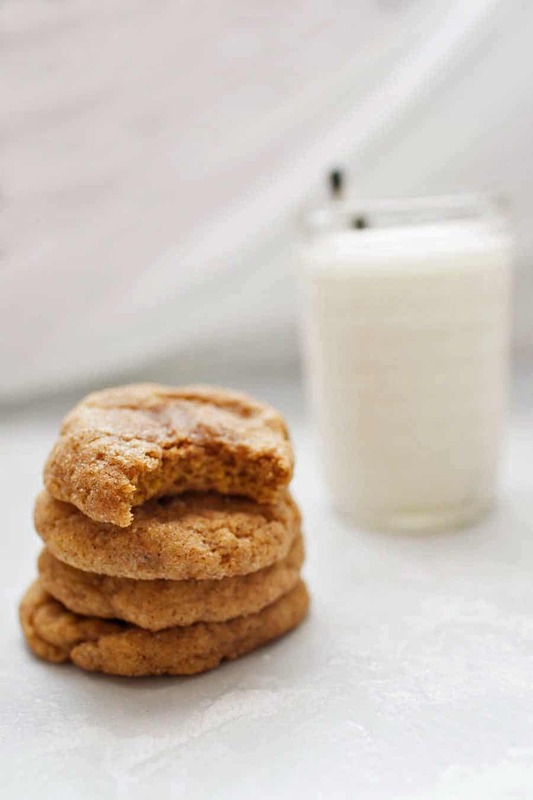 How do you make pumpkin snickerdoodle cookies? Start by melting butter, then whisk together brown sugar, white sugar, and the melted butter. Add in pumpkin and vanilla and whisk together again. 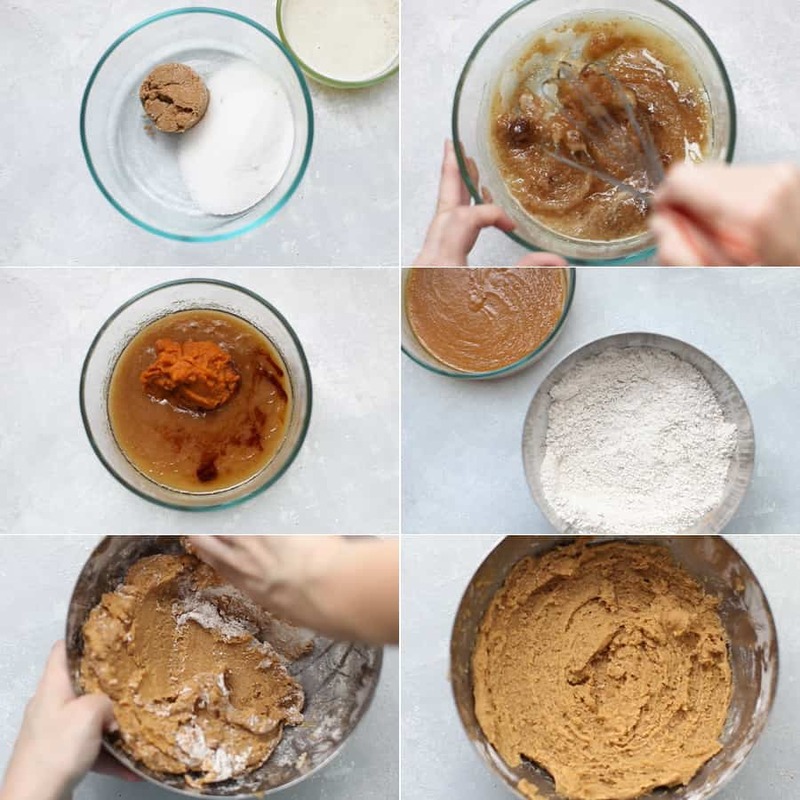 In a separate bowl, whisk together flour, baking powder, baking soda, salt, cloves, cinnamon and nutmeg. Pour your pumpkin mixture into the flour bowl. Use your flexible bench scraper to mix and fold over the ingredients until they come together. It will take a good bit of mixing together to get everything worked together. Sometimes I will use my hands to mix it together at the end. Refrigerate the dough for a minimum of 30 minutes or up to 48 hours. I’ve found that ~2 hours works great. Use a cookie scoop to ball up dough. Then use your hands to smooth and form an inch sized cookie dough ball. On a small plate or bowl, mix together cinnamon and sugar. Then roll the dough ball around covering it generously in cinnamon sugar. Place completed dough balls on baking sheet, about an inch to an inch and a half apart. On a standard size baking sheet, you’ll place 12 total. Use your hand to gently press down the dough and flatten the ball. Bake for 8-10 minutes until cookies bounce back when you gently touch the tops. Allow cookies to cool on wire rack for 10 minutes. Then use a spatula to move them to a wire cooling rack to finish cooling. 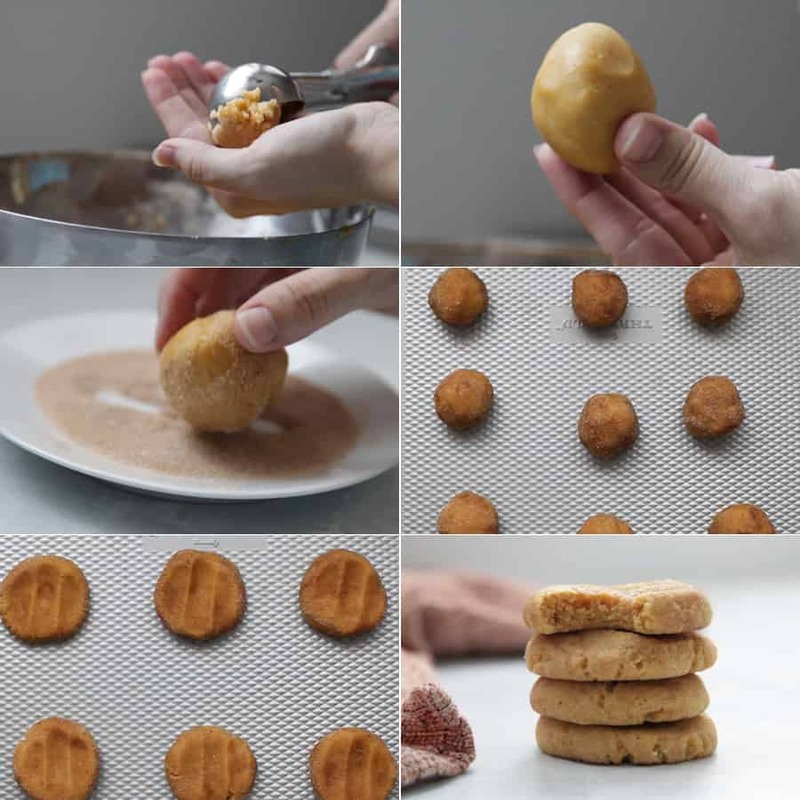 Scroll down to see the video to show you how to make these cookies! Do you have to chill dough for pumpkin snickerdoodle cookies? Yes, you really do. This batter is really soft when it’s mixed together and would be pretty impossible to work with at that consistency. 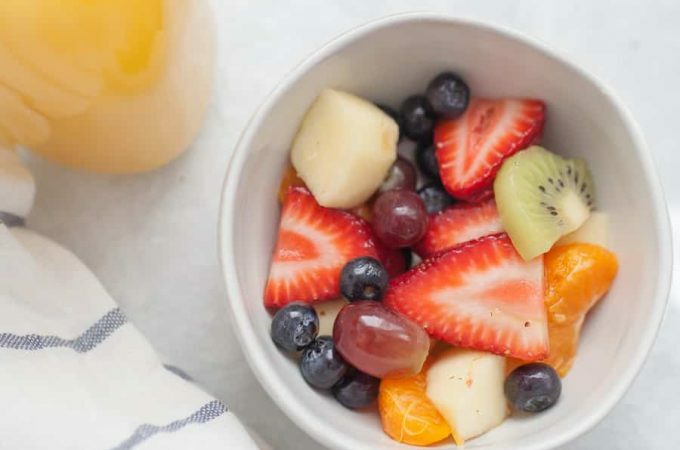 Depending on where you live and what time of year it is, you may need to chill for less or more time. I’ve found that chilling the dough for a minimum of 2 hours really helps make it so easy to work with. Why do you have to chill dough for snickerdoodle cookies? Scientifically, you need to so that the fat in the cookies solidifies, which helps the cookies to not spread out too quickly when baking. In this case, it’s also so that you can work with the dough easily. 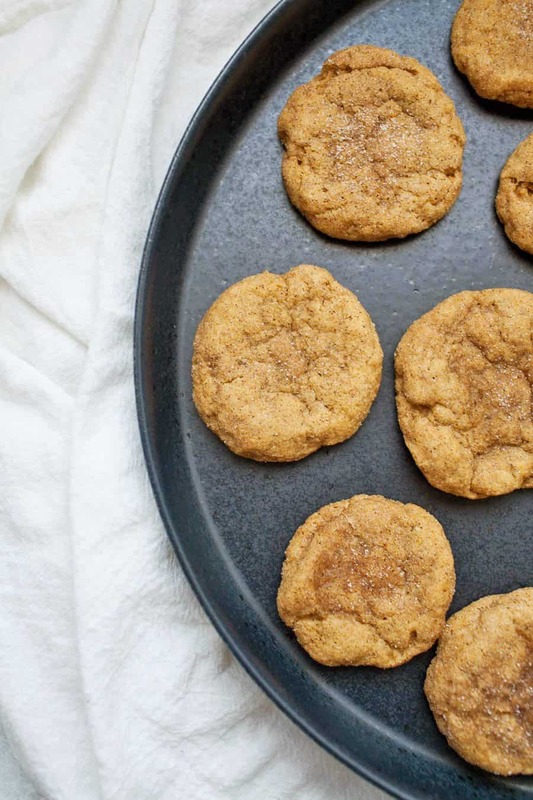 What do pumpkin snickerdoodle cookies taste like? 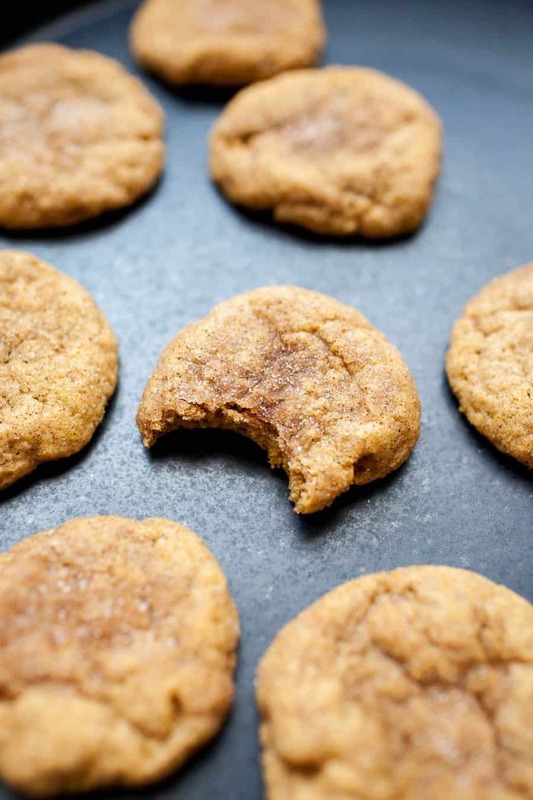 You can taste the pumpkin, fall spices, and cinnamon sugar in these cookies! Traditional snickerdoodles are made with cream of tartar to add a little bite to the flavor, but this is a snickerdoodle cookie without cream of tartar. I promise you won’t miss it! They have a slightly crisp outside and smooth, melt in your mouth inside! Snickerdoodles are known for this consistency. Are there eggs in this cookie dough? 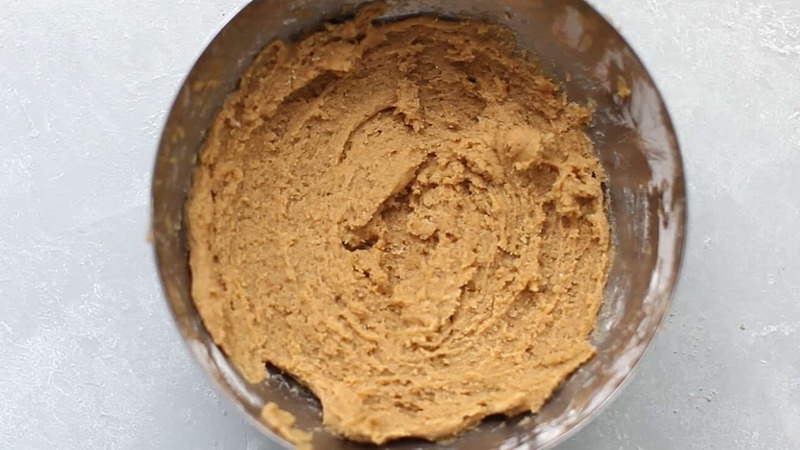 Nope, this pumpkin snickerdoodle cookie batter is egg free! So I can eat the batter raw? What else can I make with Pumpkin Snickerdoodle Cookies? 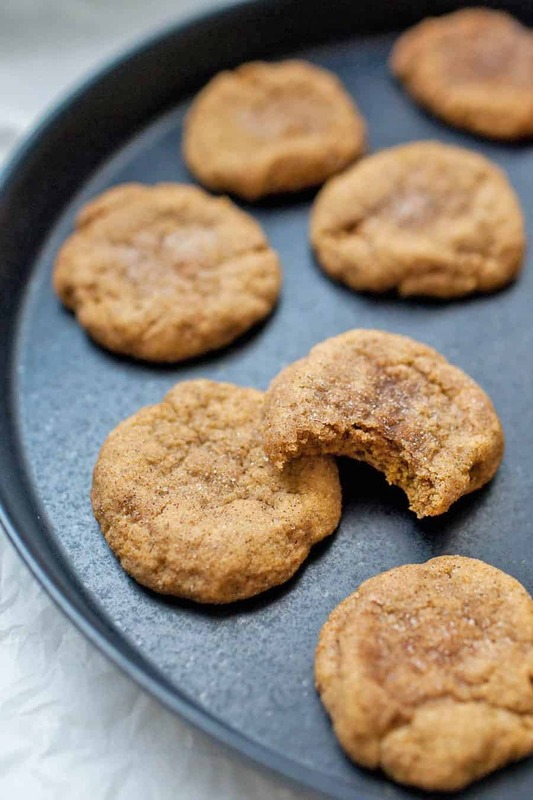 Ready to make your own pumpkin snickerdoodle cookies? In a medium bowl, whisk together melted butter, brown sugar, and granulated sugar together until no brown sugar lumps remain. Whisk in the vanilla and pumpkin until smooth. Set aside. Stir together the flour, salt, baking powder, baking soda, cinnamon, nutmeg and cloves. Pour the wet ingredients into the dry ingredients and mix together with a large spoon or rubber spatula. The dough will be very soft. Cover the dough and chill for 30 minutes or up to 3 days. Chilling is mandatory. Take dough of out fridge. Preheat oven to 350 degrees. Mix together remaining 1/4 cup of sugar and 1/2 teaspoon cinnamon. Roll about 1.5 tablespoons of dough into a ball, then coat in cinnamon sugar. Be generous! Repeat with the rest of the dough. Spread out on cookie sheet. Lightly press down to flatten ball as the cookies will spread slightly. Bake the cookies for 8-10 minutes. The cookies will look very soft and underbaked but will continue cooking enough as they cool. 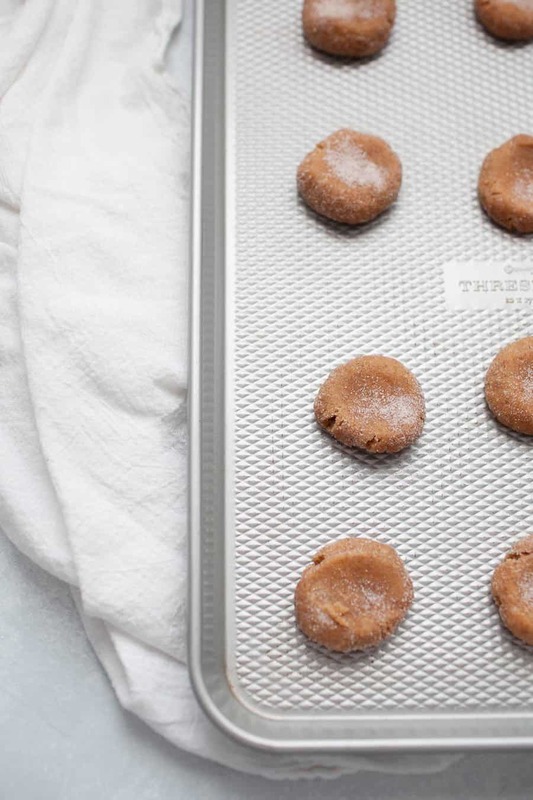 Allow cookies to cool on baking sheet for at least 10 minutes. The longer they cool the softer and chewier they will be! Chill time is NOT included. Chilling the dough is mandatory for at least 30 minutes. Dough can be chilled for up to 3 days. I’m counting down the days until Sep 22 (first day of fall) when I get out all my fall decorations and start making fall recipes! Adding this one to the list!! These are our favorite cookies!! I make them every year. They are even better than classic chocolate chip cookies. Hands down the BEST cookies ever! I make these at least twice a month during fall/winter. 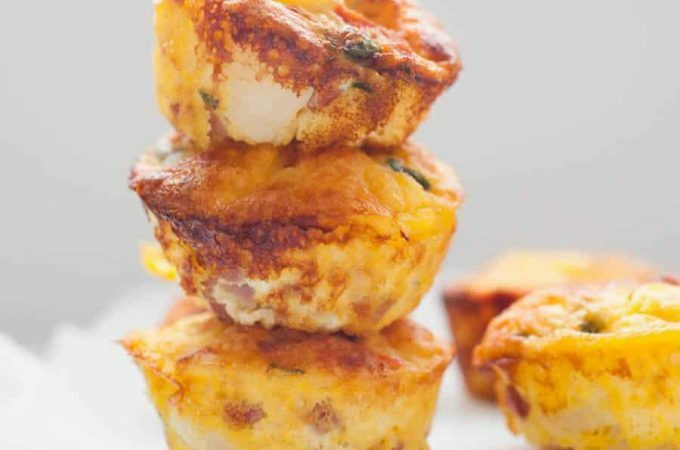 They’re great for holidays, parties, tailgates.. or just for an afternoon treat with coffee. I can’t get enough of them!